Since 2001 millions of people have enjoyed our foods without worry. With you in mind, our products are made using all-natural ingredients resulting in great-tasting products you can savor & trust. For any occasion, our products allow you to eat freely! From ancient times to the present, the lentil has proven to be one of the best sources of plant-based protein. 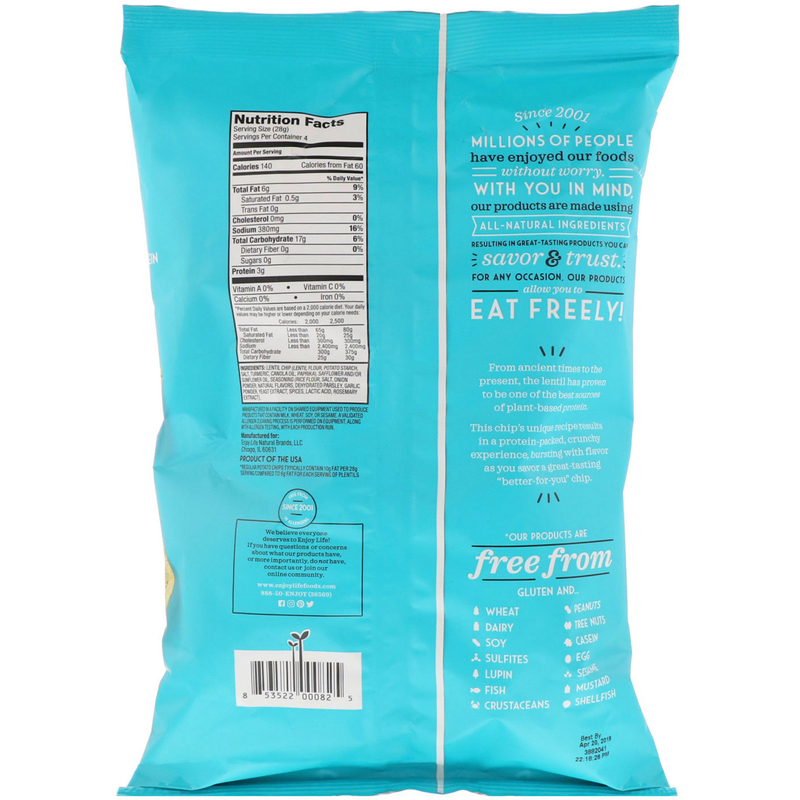 This chip's unique recipe results in a protein-packed, crunchy experience, bursting with flavor as you savor a great-tasting "better-for-you" chip. 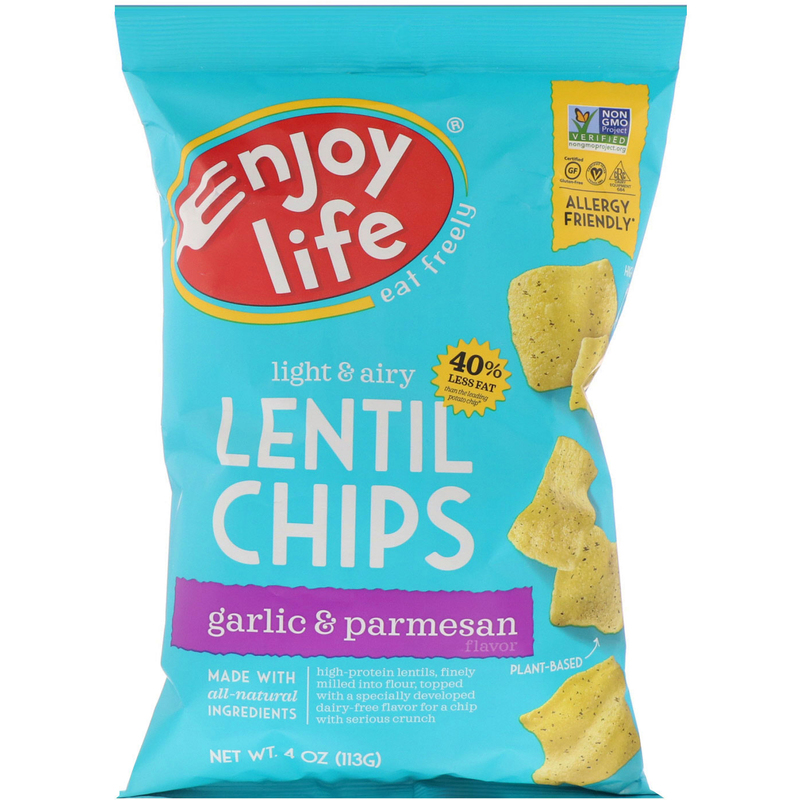 ^Regular potato chips typically contain 10 g fat per 28 g serving compared to 6 g fat per for each serving of plentils. Lentil chip (lentil flour, potato starch, salt, turmeric, canola oil, paprika), safflower and/or sunflower oil, seasoning (rice flour, salt, onion powder, natural flavors, dehydrated parsley, garlic powder, yeast extract, spices, lactic acid, rosemary extract). Manufactured in a facility on shared equipment used to produce products that contain milk, wheat, soy, or sesame. A validated allergen cleaning process is performed in equipment, along with allergen testing, with each production run.